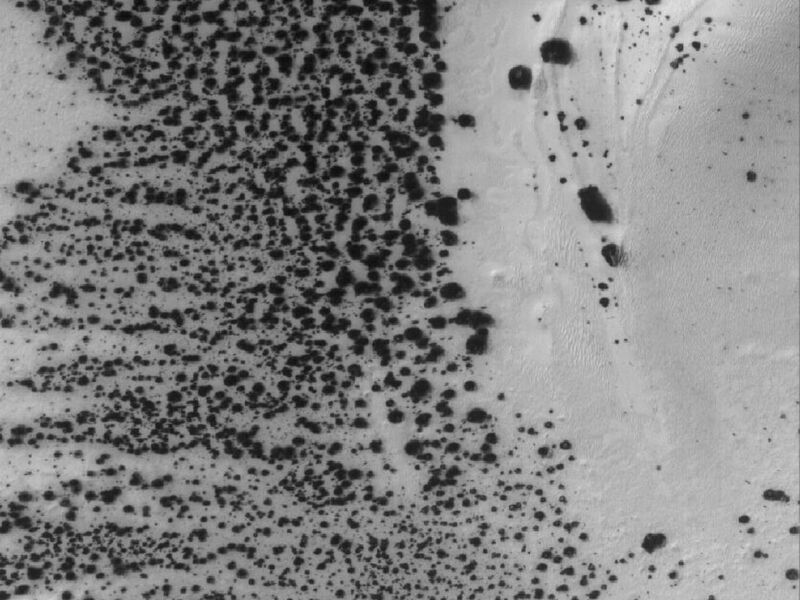 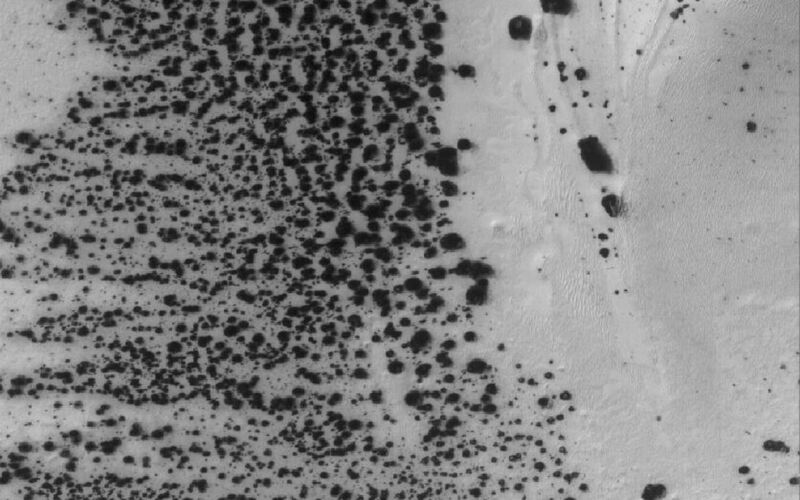 This Mars Global Surveyor (MGS) Mars Orbiter Camera (MOC) image shows a patch of frost-covered, dark sand that, at the time the picture was acquired in June 2005, had begun to defrost. The frost is carbon dioxide. 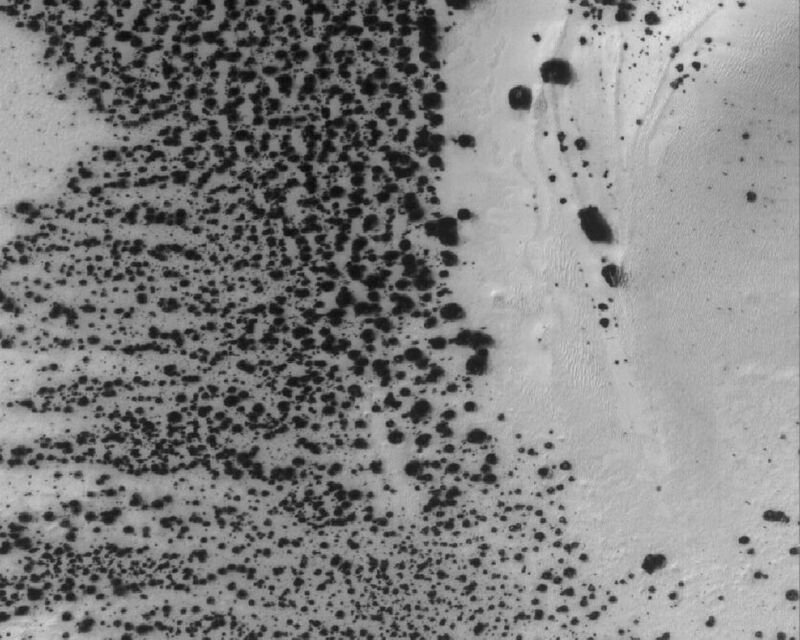 Dunes and other patches of sand are usually the first polar features to develop dark spots as the frost begins to sublime away.